Making Floating candles for decoration purpose at home is easy and fulfilled activity, you can make Floating candles at home, and in this article we are going to learn how to make Floating Candles at home to make your decorations complete. 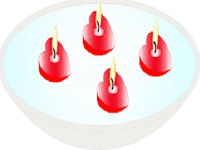 You can also use these Floating candles as a gifting option on the occasion of Diwali, Christmas and so on. Candles can make any decoration complete and give them a festive look to. Floating Candles look very beautiful and easy to make. 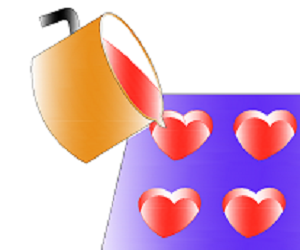 You can make any shape floating candle as its shape and size depends on the mold you have. 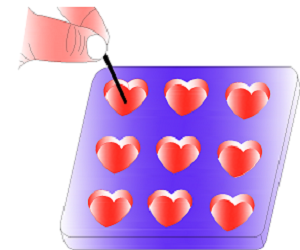 Step-1 to make Floating candles: First melt the wax in a container by heating it on low flame; you can also melt it in microwave. 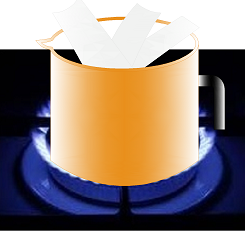 Once it melts add red color and scent in this molten tax. Step-2 to make Floating candles: Dip the wicks in molten wax and leave them to dry so that they become hard and burn easily. Step-3 to make Floating candles at home: Pour molted wax in the mold and let it cool. Step-4 to make Floating candles at home: When you notice a layer of wax over the tops of the candles gently place the wicks (1/2 to 3/4 of an inch longer than the height of the candle mold) into the center by pressing them into the candles. 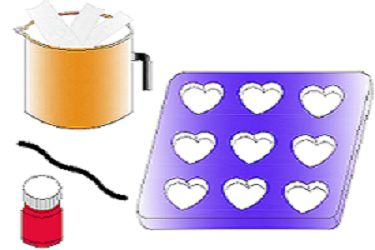 Step-5 to make Floating candles at home: Once the wax set and hardened removes your candles from the mold softly and cut the wicks according to the required size. - Never press the wick through the bottom of the candle, as this will allow water to seep into the wick and it will not burn properly. -	Do not float candles in oil or other flammable liquids, to make the liquid look more beautiful add a few drops of food color in it or add some sparkles. This is really a wonderful and an easy method to make candles of any type. I am surely going to try this one this Diwali.